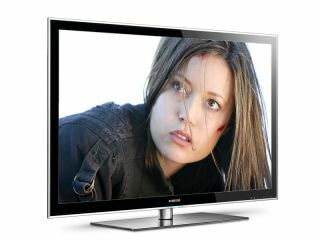 Does the Samsung LED TV feature in your favourite tech of the last 12 months? It's the final week of voting in the TechRadar Awards 2010. It's your last chance to choose your favourite gear, services and apps from the last 12 months. You can vote in up to 18 categories across TechRadar's four core areas of computing, home entertainment, mobile phones and gadgets. Shortlisted companies include Samsung, Apple, HTC, Microsoft, Spotify, Acer, Nvidia, Mozilla and Google. Was the iPhone 3GS your favoured phone? Did Samsung's LED TVs blow the competition away? Was your year dominated by Windows 7 or OS X Snow Leopard? We want to know your favourites! What's more, vote and you could win a £5,000 YOYOTech high-end gaming PC or a swish £799 Dell Adamo laptop among other prizes on offer to entrants. Vote now at www.techradar.com/awards. The winners of all the awards will be revealed on 29 April.